Gone are the days when people used to say that reaching Arunachal Pradesh for a holiday can tad tiring and not at all easy. Now, the state has its own railway station, which started its operation in 2015. Roads to Arunachal Pradesh are also in excellent condition, and buses run on them almost daily from the major hubs nearby. Though it doesn't has an airport but they are quite close and can be reached very easily. Arunachal Pradesh doesn't have its own airport. However, the nearest one to Itanagar, the capital of Arunachal Pradesh will be Lilabari in Assam, which receives flights on four days in a week (Sunday, Monday, Wednesday and Friday) from Guwahati, and Kolkata. The distance between Lilabari airport and Itanagar can be covered in two hours by bus or a taxi. Guwahati has an international airport from where you can get a flight for all the major hubs of India. 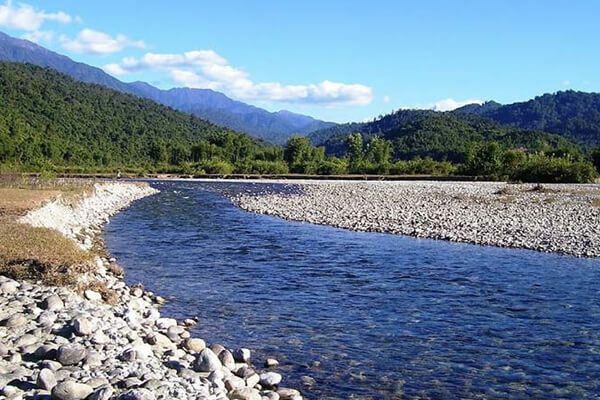 For visiting Arunachal Pradesh by airways, tourists can also consider Nahariagun airport, which is 67 km far from the city. You can even consider a helicopter ride. Many Pawan Hans Helicopter operates from Guwahati, and run within Arunachal Pradesh. On 20the February 2015, the first train to Naharlagun was started from Delhi, which eventually extended the railway network to Tawang. There are only two trains that run on this network - Naharlagun -Guwahati Intercity Express on daily basis and other is 22411/Naharlagun - New Delhi AC SF Express. From Naharlagun, tourists can easily get buses to reach the desired destination in Arunachal Pradesh.